To send an email to a CAA staff member, type the first letter of the person’s first name and his or her full last name, followed by @collegeart.org (e.g., tdugan@collegeart.org for Tiffany Dugan). To contact a staff member by telephone, please call his or her direct number. If you do not know the number, call 212-691-1051 and press 0 to reach the office coordinator, who can transfer your call. 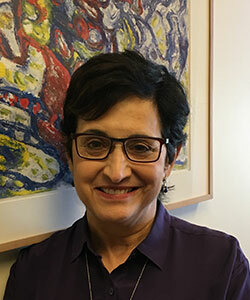 Vanessa Jalet (Stanescu) joined CAA in April 2007 as executive liaison, where she assists the executive director in administrative and governance logistics of the Board of Directors, the Executive Committee, the Nominating Committee, and CAA’s Professional Committees. Previously, she was assistant to Thomas Messer, the Director of the Solomon R. Guggenheim Museum. Jalet left the Guggenheim to join a political consulting firm which directed the campaign of Shimon Peres vs. Menachem Begin for Prime Minister in 1981. Jalet has also managed an art gallery that represented the English-born sculptor, William Tucker. Jalet has an undergraduate degree from Cornell University where she majored in English and drama. Upon graduation she trained in Hawaii for the Peace Corps Thai IX group, and was selected to teach English (TEFL) in Sattahip, Thailand. Jalet is the author of the e-book, The Boy with the Yellow Hair. Hunter O’Hanian joined CAA in July 2016 as the organization’s executive director and chief executive officer. Prior to joining CAA, he was the director of the Leslie-Lohman Museum of Gay and Lesbian Art. 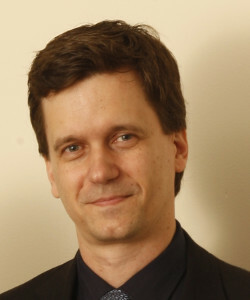 Previously, Hunter served as vice president of institutional advancement and executive director of the Foundation for Massachusetts College of Art and Design, the president of Colorado’s Anderson Ranch Arts Center, and executive director of the largest residency program for emerging artists and writers in the US, the Fine Arts Work Center in Provincetown, Massachusetts. Hunter has an undergraduate degree from Boston College and a law degree from Suffolk University School of Law. With a long history of community and non-profit volunteerism, Hunter was the board chair of the Alliance of Artists Communities, the organization of artists residencies throughout the US. His honors include an honorary doctorate of Fine Arts from the Art Institute of Boston, a fully endowed fellowship named in his name at the Fine Arts Work Center, a fund established in his name to acquire art work by diverse artists at the Leslie-Lohman Museum and a 2016 Impact Award from New York’s Gay City News. 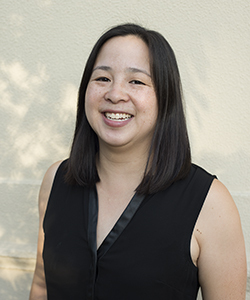 JoAnn Wong is the institutional and individual giving manager, responsible for CAA’s government, foundation and corporate support, as well as individual cultivation and development. Accumulating over 20 years in the nonprofit sector, primarily as a fundraiser, her experience also includes program management at Dance Theatre of Harlem, served as a grant panelist for the NYC Dept. of Cultural Affairs and Center for Arts Education, and served as an Arts Administration Fellow for the National Endowment for the Arts. JoAnn received her BS in Management and an MBA, Arts Administration from Golden Gate University in San Francisco, CA. Cali Buckley rejoined CAA in January 2019. She previously worked as a Programs Assistant at CAA while completing her Ph.D. in art history from Penn State University. Before CAA, she was a Fulbright Fellow in Germany, a freelance book indexer and copyright consultant, and an assistant at the Palmer Museum of Art and the Pennsylvania State University Press. Her main interests include the history of science, anatomical models, and the color burgundy. Re’al Christian is programs assistant at CAA, where she works on the Annual Conference and related publications. Prior to joining CAA, she worked in administrative roles at The Studio Museum in Harlem, the Association of Art Museum Curators, and the Grey Art Gallery, NYU. She holds a bachelor’s degree in Art History and Communications from New York University, and is currently pursuing her master’s degree in Art History at Hunter College. 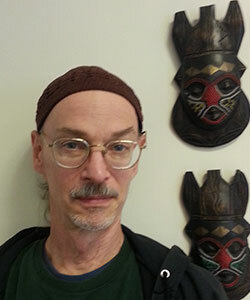 Re’al is also a writer whose work has been published by Art in America, Art in Print, and Art Papers. 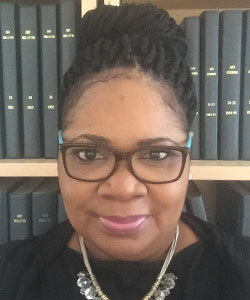 Tiffany joined CAA as director of programs in November 2015 where she oversees the Annual Conference and CAA's publications. Prior to CAA she was in charge of events management at Barnard College for 17 years and before that worked at Isabel O’Neil Studio for the Art of the Painted Finish. She went to Sarah Lawrence College as an undergraduate where she studied Italian and literature. She has a Master’s in Organizational Change Management from The New School. Mira Friedlaender is the manager of the CAA Annual Conference. Prior to joining CAA she worked as an Exhibitions Manager and in Television Production. Mira is an artist and has exhibited her work locally and internationally. Her work has been featured in the New York Times and Bomb, and she has participated in residencies at the American Center in Bangladesh and Recess in New York City. Mira is also the director of the Bilge Friedlaender Estate and recently cocurated Bilge Friedlaender: Words, Numbers, Lines at Arter in Istanbul. She earned her BA from Tufts University in Religious Studies, BFA from the School of the Museum of Fine Arts, Boston, and her MFA in Visual Art from New York University. 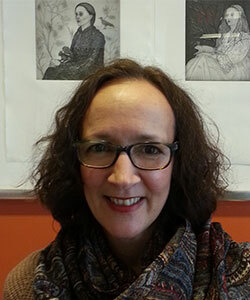 Heather Holmes is the associate editor for publications and programs at CAA, where she assists in the publication of Art Journal Open and caa.reviews. 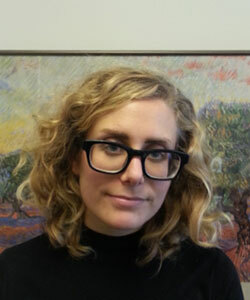 Prior to joining CAA in 2018, she was digital editor at the Institute of Contemporary Art in Philadelphia. Heather is a writer whose work has been published by The New Inquiry, Art21 Magazine, The New Museum, ICA Philadelphia, and WebSafe 2k16; her serial novellas are published by the Philadelphia-based publishing realm SWAG PURGATORY and are available at Printed Matter, McNally Jackson, and Ulises. Janet Landay directs the CAA-Getty International Program, which brings art historians from around the world to CAA’s Annual Conference. Now in its sixth year, the program has ninety alumni from forty-one countries. Janet is also the project manager for CAA’s Fair Use Initiative, overseeing all aspects of the development of the Code of Best Practices in Fair use for the Visual Arts. Prior to CAA, she worked for many years as a curator and administrator at a number of art museums in the United States, including the Museum of Fine Arts, Houston, the Detroit Institute of Arts, and the Brooklyn Museum. Paul Skiff is assistant director for the Annual Conference. He joined CAA in November 1998. Paul directs production and operations for the Annual Conference, which includes site selection, contract negotiation, space use, service providers, production, marketing, and sponsorships for the conference Book and Trade show, among numerous other responsibilities. Prior to joining CAA, Paul was assistant director and manager of productions for Olatunji Music, a cultural center promoting music and culture of Africa, founded in 1959 by the Grammy Award-winning Nigerian musician and educator M. Babatunde Olatunji. Paul holds a BFA from The School of the Art Institute of Chicago and an MFA from the Mason Gross School of the Arts of Rutgers University. Paul’s practice as an artist is focused on live events incorporating use of texts, poetry, and extensions through technology. His creative writing has been published by Henry Holt, Inc./Macmillan and Simon and Schuster. His reviews of books have appeared in Cover-Arts New York, A Gathering of the Tribes, and Art Journal. Joan Strasbaugh is the managing editor for CAA’s four publications. 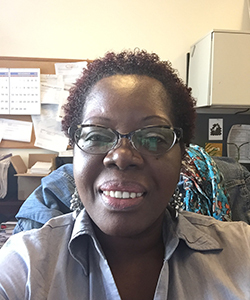 She joined CAA in 2017 as the publications and programs editor following many years working in book publishing. She is a committed Janeite and author of The List Lover’s Guide to Jane Austen. Daniel Tsai is programs and publications administrator at CAA, where he catalogues and organizes books, fields book requests, researches and clears image permissions, compiles CAA’s dissertations and directory listings, and assists with other administrative tasks. Daniel earned his Dual-Masters in Art History and Library Science from Pratt; and has worked in non-profit art museums and libraries for over five years. Daniel’s perfect day would be to visit all three Mets – The Metropolitan Museum in the morning, an afternoon Mets game at CitiField, and the MetOpera in the evening. That is, respectively: avocados and arugula, Italian sausage, and champagne. Alison Chang is the sponsorship and partnership manager at CAA. Prior to her role at CAA, she worked in curatorial departments at the Museum of Modern Art, the RISD Museum, the Philadelphia Museum of Art, and the Brooklyn Museum. Alison holds a B.A. from Wellesley College and an M.A. and a Ph.D. in art history from the University of Pennsylvania. In her spare time, Alison enjoys dancing and baking intricate desserts. Doreen Davis is the membership manager at CAA. In her role at CAA, Doreen interacts on a daily basis with the many members and institutions comprising the organization. Doreen is also active in her church and is the Director of the Young People’s League and serves as the Church Secretary. Nick Obourn is the director of communications, marketing, and membership at CAA, where he works on organization-wide communications and marketing strategy and building partnerships across the visual arts field. He works to grow the CAA membership and to ensure current individual and institutional members are supported in the field. Previous to CAA, he held positions in communications, public relations, and marketing at Columbia University. He has consulted for the Creative Capital Foundation, start-ups, and book publishers. Nick also serves on the benefit committee for the organization Groundswell. He has written for Art & Antiques Magazine, Art in America, Tin House, and other publications. He holds a bachelor’s in English from the University of Vermont and a master’s degree in Arts Administration from Teachers College, Columbia University. Joelle Te Paske is media and content manager at CAA. Prior to CAA she worked in programs and communications at arts nonprofit A Blade of Grass, amplifying the work of socially engaged artists. She was also a registrar at Paula Cooper Gallery and has worked for Kate Werble Gallery, The Drawing Center, and Artforum. Joelle earned her B.A. in Individualized Study at New York University’s Gallatin School, where she studied “Art Practice as Political Play” in New York City and the Czech Republic. Allison Walters is the web and graphic designer at CAA. Allison started working at CAA in 2015. In addition to editing the website, Allison creates mailers, ads, postcards, tote bags, and other materials. Allison is also an artist. 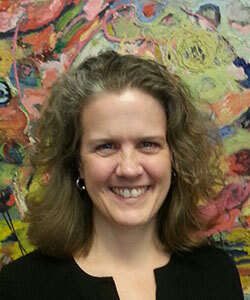 Denise Williams is the membership coordinator at CAA. In her role, she handles outreach to prospective members and member retention. Denise is also very active in her community as a Board of Director’s Secretary in her community doing outreach work for the less fortunate. 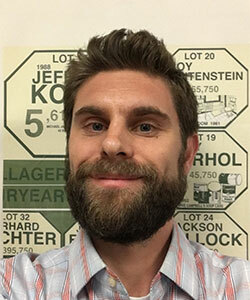 Scott Gerhardt is the IT manager at CAA, where he oversees all technology services in use by CAA staff. He has more than twenty years' experience in IT management and administration from both the performing arts and financial technology industries. In addition to his technology activities, Scott is also an active classical musician, having received his bachelor's and master's degrees in clarinet performance from the Mannes School of Music in New York. Roberta Lawson is office manager at CAA. Roberta maintains the physical operations of the office with the building management, purchases supplies, and offers project assistance to other departments as needed. Roberta also oversees the application process for the Professional Development Fellowships awarded each year. Roberta is also an artist outside of work. Prior to CAA, Roberta taught studio art at the university and high school levels, worked in art shipping and storage, and was a studio assistant with professional artists. Wayne is the systems administrator at CAA. He has nearly 20 years of IT experience, mostly in the non-profit sector. 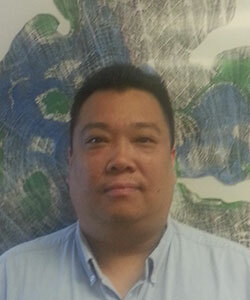 Wayne oversees and provides maintenance for the internal network and telecommunications at CAA’s office. Teresa Lopez is CAA’s chief financial officer. She joined the organization in 2010. Before coming to the organization, she was controller at the Dia Art Foundation in New York and held the same position at David Zwirner and Zwirner and Wirth, two Manhattan-based art galleries. After studying engineering at Rensselaer Polytechnic Institute in Troy, New York, she took up accounting at Hunter College, City University of New York. Abdul-Rahman Muhammad is a staff accountant with CAA and has been with the organization since 2017. He holds a Master’s degree in accounting at Queens College and has over 15 years of experience in accounting in private industry.